The 2019 Baton Rouge Business Awards and Hall of Fame class includes the ultimate entrepreneur, the late E.J. Ourso, and Jake Netterville, whose legacy is built on his service to the Baton Rouge community. Both are being inducted into the Baton Rouge Business Hall of Fame. For 36 years, Business Report has been honoring leading professionals and companies in the Capital Region that distinguish themselves by not only succeeding in business but also by giving back to the community and making our city a better place to live. 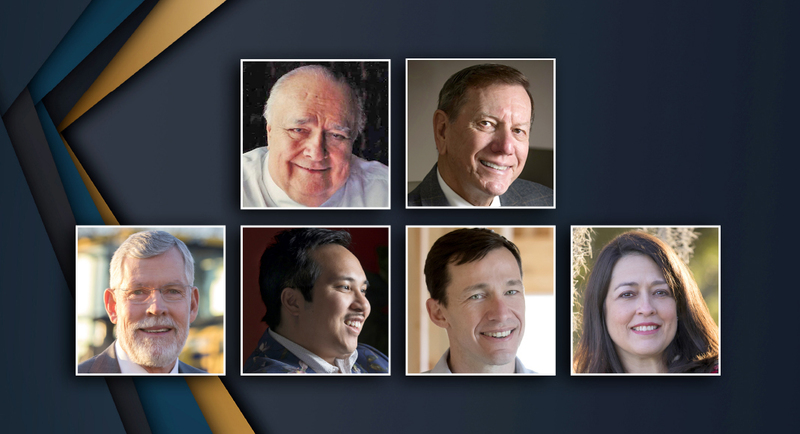 This year’s honorees, as selected by a community panel of judges, are indeed no exception. Joining Ourso and Netterville in this year’s class is John Engquist, of H&E Equipment Services, who is the 2019 Businessperson of the Year. Kenny Nguyen, of ThreeSixtyEight, is this year’s Young Businessperson of the Year. The Company of the Year with 100 or more employees is DSLD Homes and Company of the Year with fewer than 100 employees is Martin Ecosystems. Along with telling their stories and spotlighting their accomplishments in the new Business Report cover package, this year’s honorees will be celebrated at an event on March 20, presented in conjunction Junior Achievement. The Business Awards were launched in 1984 to pay tribute to remarkable individuals and companies in the Capital Region and celebrate their many accomplishments. In 1993, Business Report partnered with Junior Achievement to present the awards and added a Hall of Fame category to recognize those with a lifetime of achievement. Read the full story to learn more about this year’s winners.